New solar light bulbs aim to create a cleaner, safer, healthier world. Solar power is gaining a solid footing, and the impact reaches into climate, health, education and economic development. Designed for emerging markets, Nokero's N180–Start is the most affordable solar light bulb in the world. “I’ve met people in Africa and Asia who walk for miles to spend significant income on kerosene fuel for light,” said Nokero CEO Steve Katsaros. Oct. 15, 2013 – Today, Nokero International Ltd. announced the release of the N180- Start, setting new standards for affordable off-grid lighting. Designed for emerging markets, the N180–Start is the most affordable solar light bulb in the world. The product will be life changing for millions of impoverished people who rely on burning dangerous and polluting fuels, such as kerosene, for light. Kerosene fires kill more than a million people each year, according to the International Energy Association. 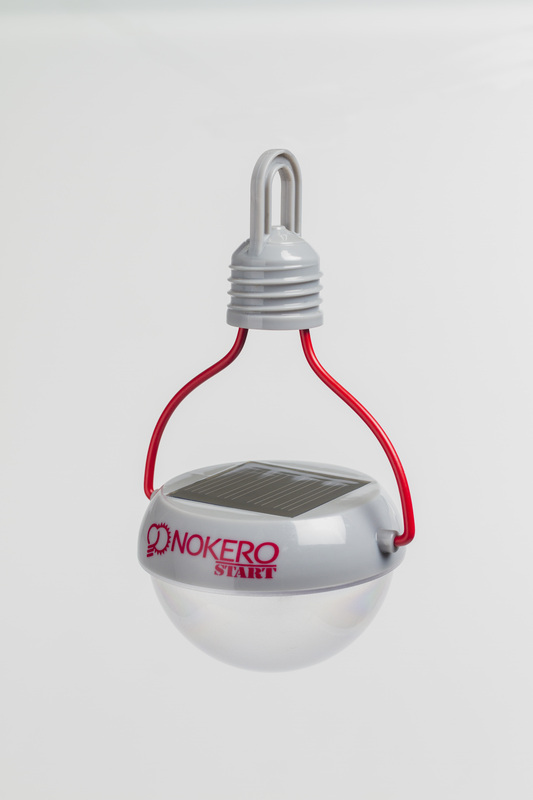 When Nokero introduced its first solar light bulb in 2010, it provided the best option yet for people throughout the world who relied on kerosene fuel for lighting. The company has since transformed millions of lives through its revolutionary technology. Katsaros and Nokero have improved the original Solar Light Bulb, designing the N180-Start to be affordable for those who make less than $5 a day. It is durable, easy-to-use, and pays for itself in a matter of weeks, depending on the end-user’s income and kerosene use habits. “Steve has been researching the design and working tirelessly on this for years. He’s listened and learned from kerosene users, paying particular attention to the needs and aspirations of women. The challenge was to bring the price down without sacrificing quality,” said Stephanie Cox, Nokero’s Chief Operating Officer. Stephanie Cox brings a unique expertise to Nokero, with decades of experience specializing in social entrepreneurship in developing markets. Over the past several years, small-scale solar has proven to be a capable technology, bringing portable solar power to hundreds of millions. In the developed world, applications range from garden lighting to disaster relief, with escalating use by outdoor enthusiasts. However, it’s in the developing world that the technology has had the most dramatic impact, changing the way millions of people live, work, and study. The launch of the N180-Start is paired with the unveiling of the Nokero N222, a high-tech solar light on the cutting edge of innovation in the sustainable energy sector. *Daily Run-Time: Only applies with bright, direct exposure to the sun. May run longer under ideal conditions.